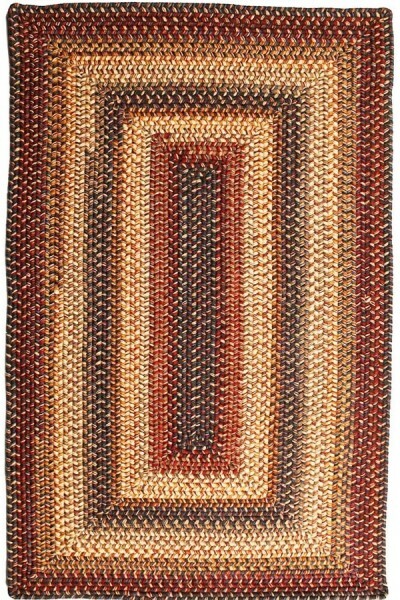 The oldest style of braided rugs used woolen yarn instead of fabric. Braiding together strands of single colored yarn creates a much different tone than that created by fabric braids. The lines are simpler and more subtle. Woolen braids refelct light differently, in a warmer hue.